More and more climbers' dead bodies are being found by expedition operators at the top of Mount Everest; high temperatures are supposedly melting glaciers, and the process facilitates the discoveries, CNN reported. To support the claim, the broadcaster cited former president of the Nepal Mountaineering Association, Ang Tshering Sherpa, as saying that climate change and global warming result in the fast melting of glaciers, "and dead bodies are increasingly being exposed and discovered by climbers". 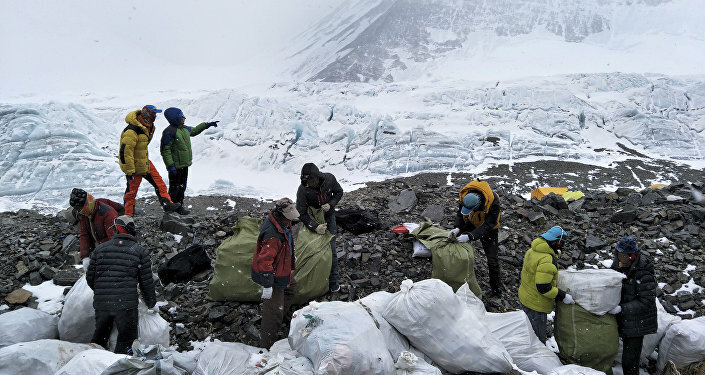 Ang Tshering Sherpa also stressed that since 2008, his company "has brought down seven dead bodies of some mountaineers, some dating back to a British expedition in the 1970s." A number of scholarly articles speculated previously that glaciers in the Everest region of Nepal were melting and thinning as a result of a warming climate.